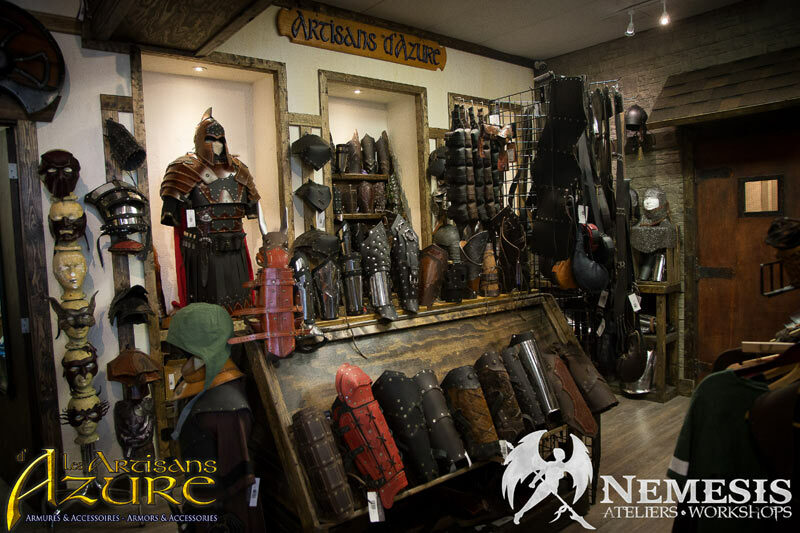 We are primarily LARPs who actually believe in improving this game and that’s why we want the best choice and advices for your costume! 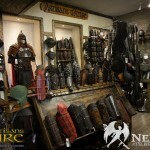 To improve decorum during events, Les Artisants d’Azure manufacture armors and accessories in our workshop in Montreal. 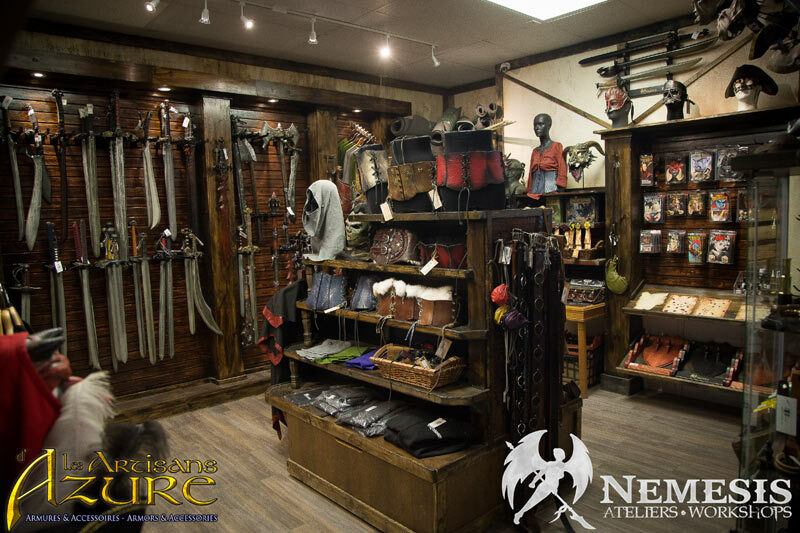 After several years of work, our achievement spearhead is our shop dedicated to LARP, in partnership with Les Ateliers Nemesis. 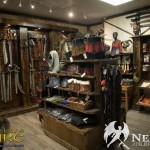 Services PRODUCTS : Manufacturing armors and leather accessories - Clothing and costumes - Latex and foam weapons - Materials - Various equipment for LARPers - Sales and animation of board games and role-playing - * - SERVICES: Custom creations and Cosplay - Repairs, sub-contracting and wholesale - Training and internship - Laser cutting and engraving.